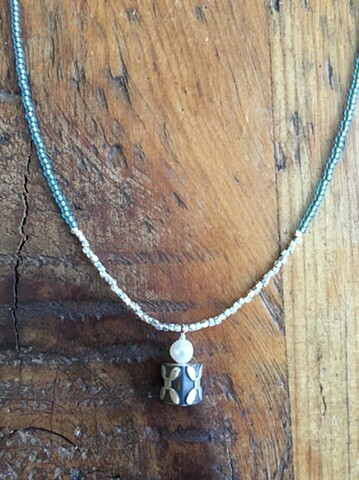 A strand of blue green seed beads with fun oxidized silver "flower X" design topped by a fresh water pearl. Sterling lobster claw closure with 2" sterling extender chain. Approx 17-19"